With the local and European elections only 24 days away, I look forward to seeing many of you on the campaign trail as I now will be working full time on this to ensure we return as many Labour MEP’s as possible in London. As an MEP candidate I have been involved in many debates about the elections, including a fantastic one with the National Alliance of Women’s organisations (NAWO) on a young woman’s manifesto, a GMB event on women in Europe as well as representing Labour at a multi-faith hustings in Lambeth on Tuesday 29th April which you are more than welcome to attend. Event details are on my out and about page. I continue to campaign all across London. 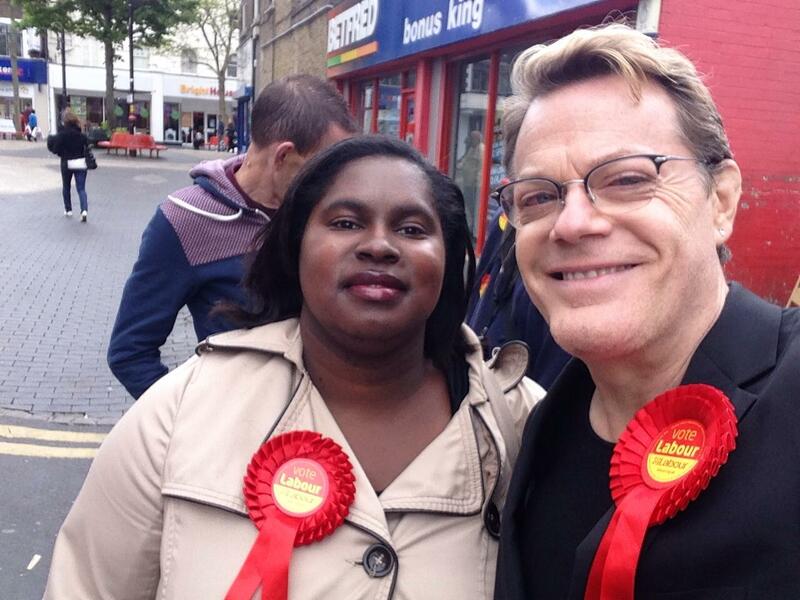 I was on the campaign trail with Eddie Izzard in Southwark, Tower Hamlets, Ealing and Brentford and Isleworth and last week I was campaigning in Brixton and Southwark. This week I will be campaigning in Redbridge and Tower Hamlets and it was great to address UNISON Labour link members in Tower Hamlets at the house of Commons last week about the importance of the elections with John Biggs and Sadiq Khan MP. I will be joining Ed Miliband MP on Thursday 1 May for the launch of the local and European elections campaign, in the evening, I will be speaking at a public meeting about the NHS in Redbridge and on Friday I will be speaking at the Labour film festival about the importance of the elections, details of which are on my out and about page. If you are not registered to vote for the local and European elections, you still have time, click here to register. Please like the London Labour European campaign page on facebook here. Do get in touch if you would like me to talk Europe or equality at your events. Posted on April 28, 2014, in Uncategorized and tagged Europe, Labour, Sanchia Alasia. Bookmark the permalink. Leave a comment.